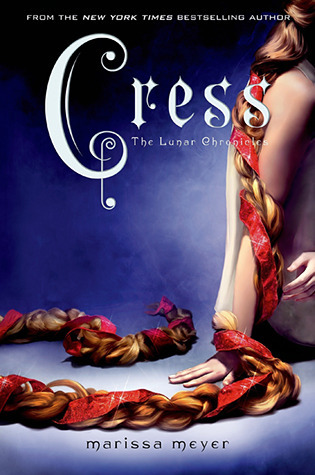 The Lunar Chronicles is by far my favorite book series, so Cress is by far my most anticipated 2014 release! I love this awesome cover too; I’m so excited to see what the future holds for everyone! Jessica Brody is one of my favorite authors, and I adored Unremembered (my review)! I enjoyed the cliffhanger ending to Unremembered so much that I even gave it a clapping bunny gif in my review. I’m curious to see what Unforgotten has in store! I absolutely adored Jennifer’s The Statistical Probability of Love at First Sight (my review); it was just so sweet and the writing style was lovely! I’m eagerly awaiting her latest book! I cannot rave about These Broken Stars enough (my review). It’s one of my favorite books of this year, I painted my nails after the cover, and I cannot stop recommending it. The writing and the whole world just sucked me in. I am so ecstatic to see what amazing story the authors have waiting for us in This Shattered World! I loved the character development, unreliable narration, and the slow reveal of the main character’s background in A Long, Long Sleep (my review) so much that it became one of my favorite books that I read this year. I’m very curious to see where the sequel takes the story! I thought Tandem was pretty cool (my review) with a fun concept, and I’m very excited to see what happens to all the characters in the sequel (especially after that cliffhanger Tandem left us with)! All Our Yesterdays was phenomenal (my review), so I can’t wait to get my hands on the sequel! Lindsey Leavitt writes such adorable and hilarious books. I loved her last book, Going Vintage (my review) and this book sounds like a fun must-read for me! I have a feeling that this book will have me smiling a lot while I read it. A stupendous sounding mystery for fans of From the Mixed-Up Files of Mrs. Basil E. Frankweiler? Yes, yes, and yes! This sounds wonderful. Con artist and master of disguise? As someone whose favorite T.V. show is Leverage, I am so excited to read this book, it sounds awesome! “About a teen girl who attempts suicide, told from the perspective of her neglected childhood imaginary friend.” YES, YES, and YES! I can’t wait to read the imaginary friend’s narration! Mystery! Adventure! This book sounds like something I’d want to read right away! Don’t they all sound amazing? Can I just have these books already? I loved the cliffhanger for Unremembered, but I hope the cliffhanger for Unforgotten isn’t too bad!The cliffhanger for Tandem and the wait for Tether is driving me insane! I’m really excited for No Life But This. Oooh, thanks for telling me about Vivian Divine! Ooh, the one by Amy Zhang sounds awesome! Definitely adding that one to my to-read list. Ahhhhh, someone else who knows about Amy Zhang! Her book will be on my TTT this week, for sure. My friend let me borrow her copy of Cress but I haven’t gotten around to it. I think I’ll probably get to it when it’s released. I love all of Jen E. Smith’s books and I can’t wait for this one as well. Eek. 2014 is about to be so amazing. I just read All Our Yesterdays a few weeks ago and I loved it. I thought it worked perfectly as a standalone so I’m very interested to see how it’s going to go as a series. 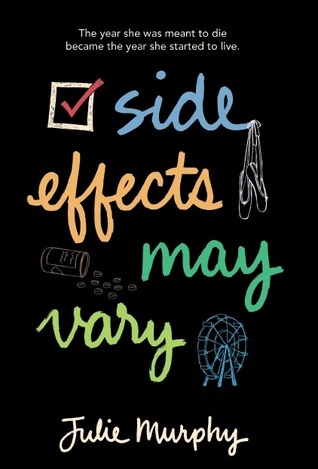 Will definitely be adding Side Effects May Vary to my to-read list! Great list :-) I’m intrigued by so many of the debuts! The Chapel Wars sounds good! This is the first I’ve seen it. I still need to read Going Vintage, but hopefully I will one of these days soon! I also want to read The Geography of Me and You. I really liked The Statistical Prob. I wish I wouldve remembered it for my list! I know, right? The Cress cover is gorgeous! I love that you mentioned Debut Authors… it’s hard to know what they have coming out. Thanks for sharing! Ah, I knew I forgot some, one of which is Geography of You and Me! My bonus ones are mostly the ones without covers (grrr, I want covers, publishers!). A story told by an imaginary friend?!? I WANT I WANT I WANT. Love the list, Alice! Cress!!!! I think this is going to be on everybody’s lists today. :) These Broken Stars #2. I just finished reading it and omg I loved it. Your nails were so pretty when you did them to match the cover. The Amy Zhang book sounds really cool. A book narrated by an imaginary friend? Awesome and super unique! Great list! P.S. Love the digital snow! Hooray! So glad you loved These Broken Stars too! Oh, I forgot about some of these, like THIS SHATTERED WORLD. 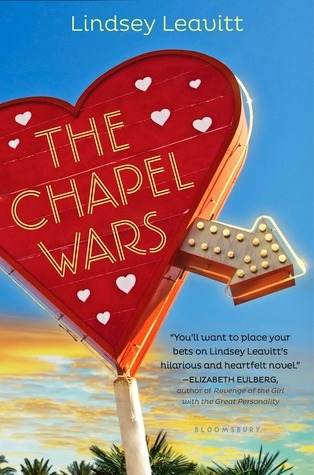 THE CHAPEL WARS sounds so stinkin’ cute. AND OHMYGOSH CRESS. I don’t mean to brag or anything (I really don’t), but it is EXCELLENT. Thanks for stopping by! Vivian Dinine looks awesome, putting it on my tbr list. Thanks for sharing! The Lunar Chronicles is one of my favorite series too, so I am also really excited for Cress. And yeah that cover is so pretty, and I think it’s going to look great on my shelves next to the other two. I’m SO exited for These Broken Stars and I am glad that you love it. Just a few days and I can read it too, though I hope I’m not the black sheep and end up not liking it! 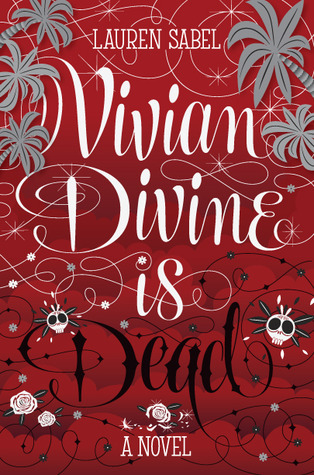 And Vivian Divine is Dead looks awesome and I love the cover. I know, I can’t wait to get Cress and line up all the gorgeous Lunar Chronicles book covers next to each other! :) I hope you love These Broken Stars! I am also so so excited for This Shattered World! I didn’t even think to put it on there. These Broken Stars was one of my favourite books from this year. Cress was amazing and I just know you are going to love it. 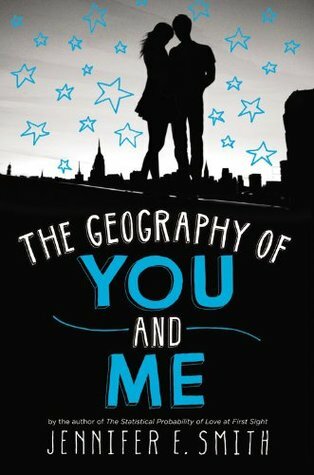 And The Geography of You And Me looks so cute, can’t wait! I haven’t read Marissa Meyer’s book and I think I should change that. The cover of Cress is badass! They do all sound amazing! 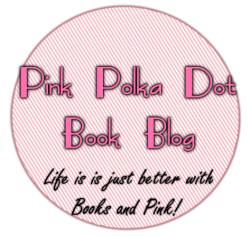 This is a bad week for my TBR list! I know, my TBR list keeps getting longer and longer! Awww Under the Egg looks Super cute! and I cannot wait for Anna Sheehan’s sequel, either! I really enjoyed A Long, Long Sleep! I love a good MG novel! Okay, I’ll tell you right now: Cress is incredible. And I’m so with you on The Geography of You and Me (I love JES! ), This Shattered World (I loved TBS as well), and Side Effects May Vary (Julie is the best, and I need that book now!). Great, great list! So glad that you enjoyed Cress! The Chapel Wars looks great, I can’t wait to read it either. I really need to start the Lunar Chronicles series, I know I’m missing out on some awesome books. I haven’t heard of some of these….. in particular The Chapel Wars sounds really funny! Adding to it to my goodreads! I still haven’t read Cinder yet and am feeling really guilty since Cress has been on almost every list I’ve seen today! 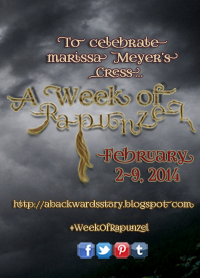 I’m so excited for The Chapel Wars, and I hope you enjoy Cinder when you read it! You have such a cute blog here! Thanks for the comment on my blog. Some of them sound very interesting. Got to check them out! SO many good ones here! 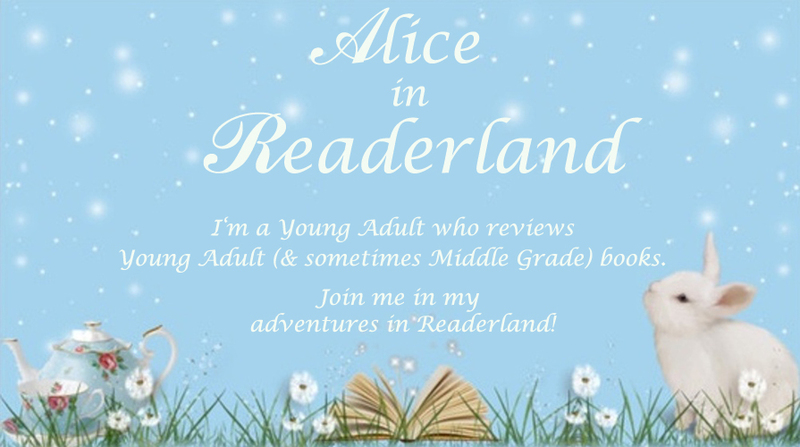 You have some I have on my TBR, but many I need to go read about. Great list. I’m excited to hear more info about Vivian Divine is Dead; I hope you love These Broken Stars, and I’m glad you’re loving Cress! 2014 is such an awesome year for books. I absolutely can’t wait for Cress and The Geography of You and Me. They both sound amazing! 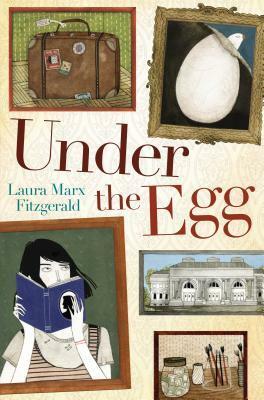 Under the Egg looks awesome too. The cover is so fun. Great choices! It seems I really need to read the first two books in The Lunar Chronicles series, Starbound, and All of Our Yesterdays in time for next year! I’m super stoked for Unforgotten. I haven’t read the novella in the series yet but I loved the first book. I was about to go through and explain why I want to read the books on this list I’m excited for but I realized it’s basically all of them. haha.